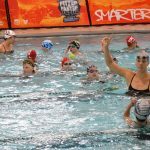 Past Clinic: SAVE: Swim Clinic e-Cards! All across the USA and Canada! Within 250 miles of , . The Best Gift for Every Swimmer! Save on every clinic your swimmer attends in 2018. Sale ends on December 5th. Don't see your city on the Fitter and Faster schedule yet? That's okay! This card enables you to save on the purchase of any swim clinic currently on the Fitter and Faster calendar or any FUTURE clinics that will be added to our calendar throughout all of 2018! If you desire to use an e-gift card for multiple clinics, please purchase multiple cards. Valid throughout the entire United States and Canada. Your exclusive promo code will be emailed to you within 48 hours after you purchase your gift card. Cards are only valid for use at fitterandfaster.com for the purchase of swim clinics. You can not use a discount code to purchase a Swim e-Savings Gift card. If customer purchases a Swim Savings card using a promo code, you will be contacted to pay the amount you have been discounted.